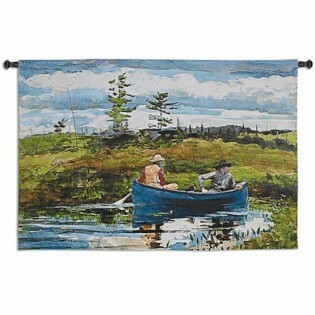 The Blue Boat Wall Tapestry is a woven interpretation of Winslow Homer's richly colored and graphical depiction of a lazy nautical voyage. Influential 19th century artist Winslow Homer (1836 - 1910) broke from Impressionism to produce realistic, robust images of American life. Homer is famous for his energetic, epic seascapes, as well as portrayals of man pitted against the rugged wilderness. His fresh, spontaneous style and exquisite expression of atmosphere had a revolutionary impact on watercolor art. Made in the USA. 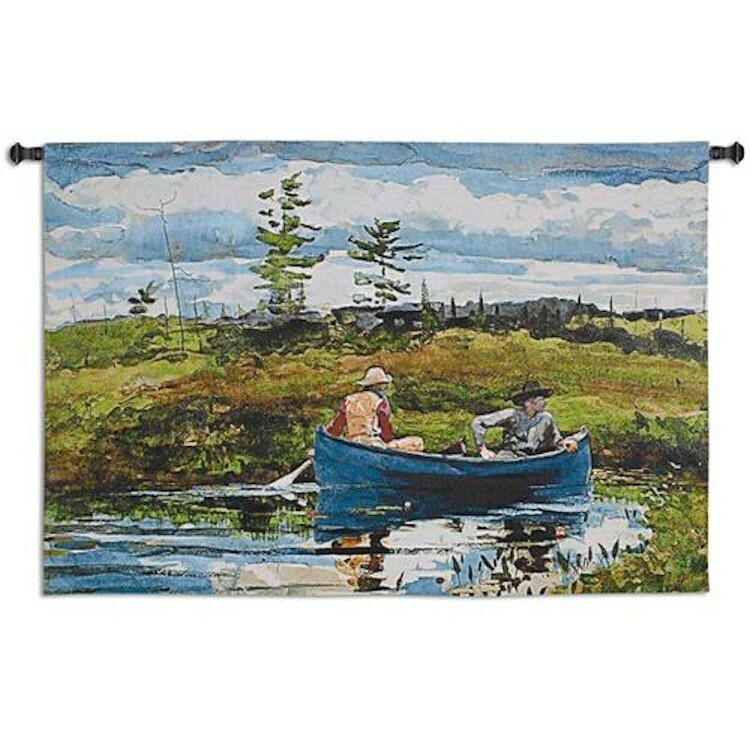 The Blue Boat Wall Tapestry is a woven interpretation of Winslow Homer's richly colored and graphical depiction of a lazy nautical voyage. Influential 19th century artist Winslow Homer (1836 - 1910) broke from Impressionism to produce realistic, robust images of American life. Homer is famous for his energetic, epic seascapes, as well as portrayals of man pitted against the rugged wilderness. His fresh, spontaneous style and exquisite expression of atmosphere had a revolutionary impact on watercolor art.